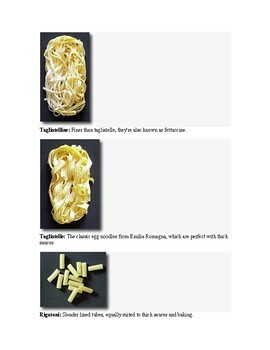 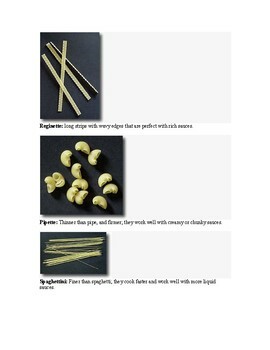 This is a picture list of all different kinds of Pasta and their names in Italian. 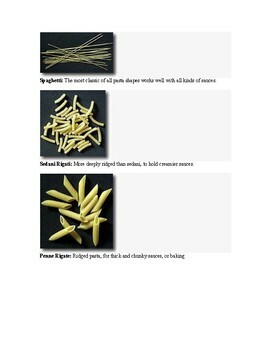 These worksheets can be laminated and made into flashcards, memory game or lesson on il primo pasto in Italy. 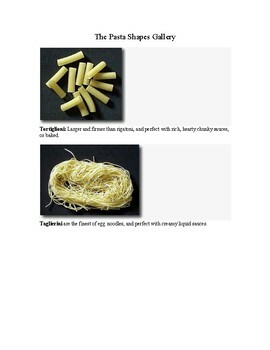 Students are amazed that there are so many variations and to learn just how important Pasta is to us Italians!